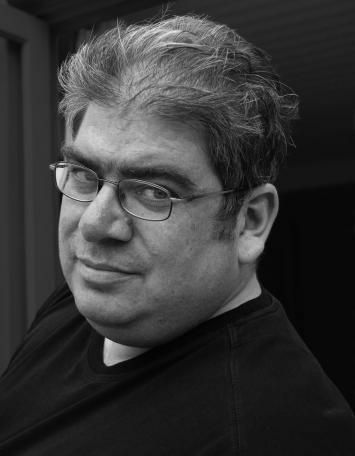 British author Ben Aaronovitch is best know for the ‘Rivers of London’ series, which follows a young officer in the magical and supernatural branch of the Metropolitan Police. His latest book in the series is The Hanging Tree (Gollancz). He will be visiting Sydney and Brisbane in March. What would you put on a shelf-talker for your latest book? Please buy my book I’ll be your bestest best friend—honest. The Hemingses of Monticello by Annette Gordon-Reed (Norton). I’m looking at this huge pile right now, each of them an undiscovered country and could choose to travel to any of them. Although possibly, on a practical level, I may read a guide to Australia instead. Which book do you always recommend? I always recommend Pratchett and with such regularity that acquaintances cross the street to avoid me. What was the defining book of your childhood? Star Ranger by Andre Norton (Orion), my first ever proper SF book. Bertie Wooster. At least I reckon he has the most comfortable life of any literary character I know of. What’s your favourite book adaptation (film, television or theatre)? I had to think about this and weirdly, if I’m honest, it’s How to Train Your Dragon. What’s your favourite books website or blog? Twitter because Facebook seems way to much like hard work. Available on formats that we haven’t even dreamed of yet—but still recognisably books.